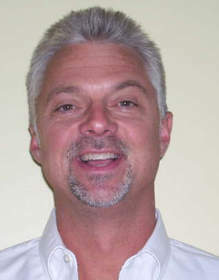 PITTSFORD, NY--(Marketwire - October 17, 2008) - Scene Genesis, provider of technology to the insurance and autobody industries, named industry veteran Joe Cosgrove director of strategic accounts. Cosgrove will focus on contacting auto insurers about SceneExchange, a one-of-a-kind Web service that lets insureds choose their autobody shop online. He has 20 years of experience in auto insurance claims. Previously, he served as director of insurance services for CEI Auto Claims & Risk Management, the largest independent provider of auto physical-damage claim services to self-insured fleets, and the third-largest independent provider to the property and casualty industry. "Joe is well known and respected across the insurance industry. He's the perfect ambassador to convey the benefits of SceneExchange to the industry," said Chrisa Hickey, Scene Genesis director of product management. Cosgrove is a graduate of Stockton State College in New Jersey. He can be reached at jcogrove@scenegenesis.com. Scene Genesis recently announced that Workmen's Auto Insurance Company, ARI Insurance Companies and Crum & Forster have signed on to offer SceneExchange to their customers. Based in Pittsford, near Rochester, N.Y., Scene Genesis is a technology company serving the insurance and auto-collision-repair industries since 1998. It offers SceneExchange, a novel Web-based marketplace that lets participating insurance companies' customers choose among participating auto-repair shops for prompt, high-quality repairs. More than 3,000 autobody shops nationally have signed up. Simplifying administration for carriers, SceneExchange puts collision shops on an even playing field and puts control over workflow into the shop owners' hands. For more information, visit www.scenegenesis.com and www.sceneexchange.com or contact Beth Bailey of Scene Genesis at 585-387-9883 or bbailey@scenegenesis.com.